Hi there! Joining in with Karen at Some Days are Diamonds for Doors of Welcome. She is hosting a mini series featuring doors and porches. Go visit her to see the other participants and to join in yourself. A pretty wreath to greet my visitors. Katie is peeking out to say hi. Your porch is so sweet! The beautiful wreath looks really pretty on your front door. I love all the red tones in it. Very pretty front entry and glass door design Stacey! I really adore your sweet little scarecrow friend. That is just so adorable. Katie is precious too! Stacey: This is so pretty! I love your wreath! Your front entry is always perfect! And Katie peeking out to see what in the world you are doing is priceless!! Hi Stacy, your porch is so pretty dressed for fall. Katie is my favorite part though! Sunny does the same thing. Shhh..your not suposed to notice I never get anything "done" with my stuff! Remember a while back you asked about how to get the look of layers without going too far? I commented I just put everything up then change it around. I'm going to have to repaint the whole wall now. I'm going to take it all down and start over around that tray! The wreath on front door is so pretty...makes for a welcoming atmosphere. Wonderful fall entry...I am loving it!!! You know I am a huge fan of your cart...I still have not purchased one...and your wreath is beautiful!!! Your little friend peeking out is precious...he wants in on all of the fall fun!!! Beautiful and welcoming...a winning combination!!! Hi Stacey! Oh, how pretty. I love your front entrance and you've got it decked out so wonderful with lots of Fallness! Love the fuzzy face peeking out your pretty door! Your porch looks beautiful and welcoming Stacey:>) I love the unusual pumpkin! Your porch look so inviting and welcoming. I love seeing Katie peeking out. Have a wonderful day. It is supposed to start clearing up this afternoon and maybe get a bit of sun....WOOT WOOT I am READY!!!! Your front door looks very welcoming for the fall season and what a cute little greeter you have there. The wreath is very pretty and it all works so well with the color of your brick. Love your decorations, thanks for sharing! Have a blessed day! Just so pretty, Stacey! So inviting. Love the wreath. What a lovely entrance! Hopefully...I can post for the next one in Nov. Thanks. Have a lovely day and Katie is a cutie. Great welcoming door Stacey. I'm not sure I will ever get my outside done this season. It has turned instantly freezing around here and I am not geared up with cold weather garb yet. Hey Stacey, Your porch is so welcoming and warm. I loved it! Beautiful entry, Your sweet doggie pal is darling, and I love your metal cart! What a welcoming area you have at your front door. Makes me want to come right in and have coffee with you. I really like your front door, and the beautiful touches that you have everywhere. Awwwwwww! That just makes your Door all the more inviting. Love seeing Katie standing there! What a great shot! Thanks so much for joining in! Very fun. Just beautiful! You did a great job! Your entry way looks so warm and inviting, especailly with sweet Katie there! The glass in your door is so eye catching...just beautiful. Your Autumn wreath is beautiful! I feel very welcome on your front porch! Enjoy the season! Katie looks so sweet peeking out! That wagon is so cute there! Your entry says "welcome fall"! What a great wreath to welcome fall and all of your visitors. And I'm with you pumpkins are wonderful! Thanks for stopping by, please come back anytime! Oh, the doggie is just what makes a house a home. Everything is just so lovely. Your front porch looks great! I LOVE your wreath, that is beautiful! Your little Katie looks like a sweetie. My Molly likes to watch out the front door too. Hi there--what a lovely inviting entryway! And company to keep, to boot! We stay on the road too much to have a dog these days, but we claim half-ownership of my parent's dog--really makes us feel like we're home when she comes running to meet us. What a welcoming entry! Love that wreath. My porch is not decorated for fall...to busy moving! What a beautiful entry way. And another party that you belong too. Sorry, I am so late to your front door. Hi Stacey, Your entry looks so inviting with its gorgeous wreath and that great cart!! Love the door itself, too! I would enjoy being greeted by your Katie. Nope. My front door looks bare and tired. I'll be glad when this yard is in some sort of decent shape! Yours is lovely and inviting. Hi Stacey! Just wanted to sat thanks for the prayers for Mrs Jane. She is doing great today! Hi Stacey,Love all your fall... It is all so pretty.. Stopping by to say Hi Stacey! Your wreath on the door is really pretty but my favorite is your little garden cart. What a perfect thing to decorate around all year long. Girl...you got the touch! Your porch is so warm and inviting...I will be right over with a couple mugs of hot cider! I can't wait to see what tricks you have up your decorating sleeve for November and December. Love your little scarecrow. I used to make and paint alot of scarecrows. I love them because you can use them up til Christmas. Thank you for the sweet comment Stacey. Oh - my goodness - your door is so pretty and inviting with the beautiful wreath. What a sweet picture of Katie peeking out to say hi - just adorable. 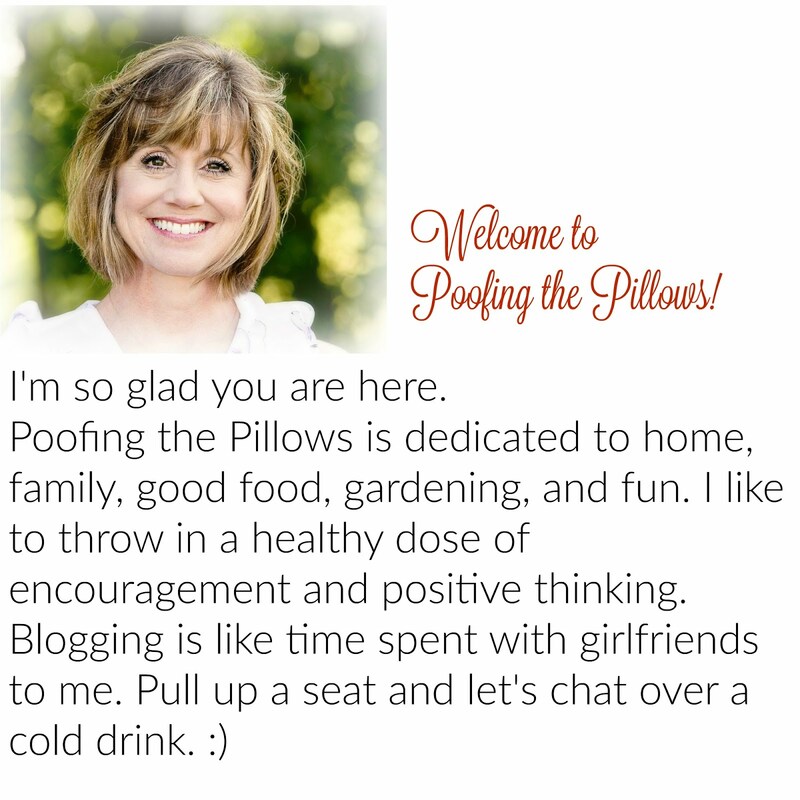 I am having my first blog annivesary celebration and giveaway. Please stop by if you have a chance. Stacey, congrats on your give away win!! I am so sorry ya'll have been sick! I had this last Monday and it was NOT fun! So far, no one else in the family has had it! Hope each of you feel better soon! Your entry is beautiful and that sweet furry friend peeking through the door! Looks great, what a beautiful front door you have, and cute with the dog peaking out.